The perfect quote for dog lovers is here! 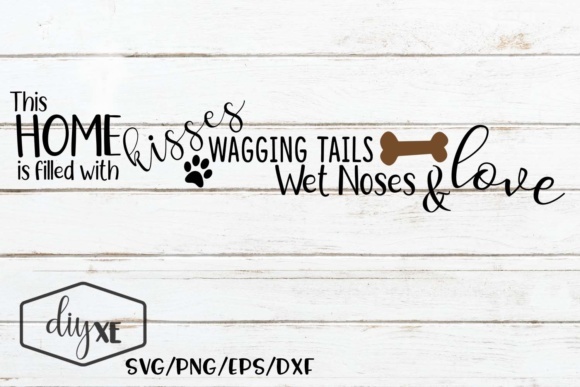 ‘This home is filled with kisses, wagging tails, wet noses & love’ is a beautifully written fun design to add to any home with furry friends in it. The SVG file is compatible with Cricut and Silhouette cutting machines.